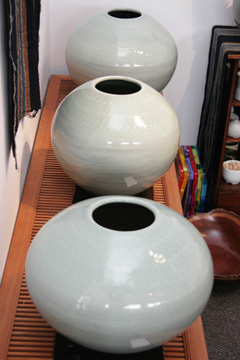 Wayne Miyata has filled bibelot gallery in Kaimuki with the refined, graceful aesthetic that celadon embodies. 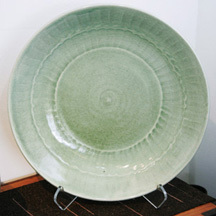 Celadon, a classic style of Chinese stoneware characterized by a jade-like glaze, was created in the 10th century. 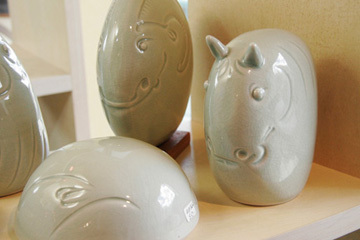 Celadon's Chinese name, qingci, translates to "greenish porcelain." 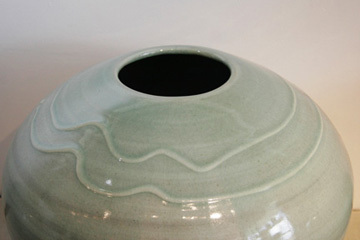 In the western world, it is rumored that celadon got its name from the French love story "L'Astrée" by writer Honore d'Urfe, in which the hero Celadon romances L'Astrée. 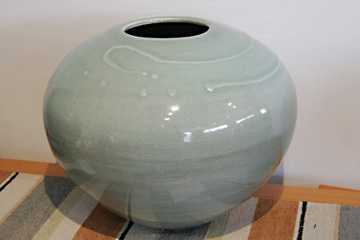 Celadon was presented as a young man in green, and his dress became all the rage in 17th century Europe. It was at this time in history that qingci made its first appearance in Paris, to much acclaim. People compared qingci's color to Celadon's suit, and the name stuck. 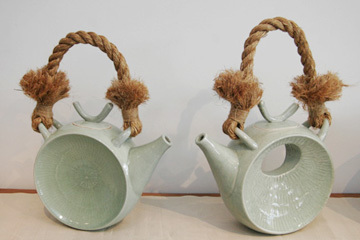 Hawaii artist Wayne Miyata continues this illustrious tradition with "Round, Round and Celadon," on exhibit at bibelot gallery through Oct. 12. Bibelot is open 10 a.m. to 4 p.m. Tuesdays to Fridays and 10 a.m. to 5 p.m. Saturdays. Call 738-0368 for more information.